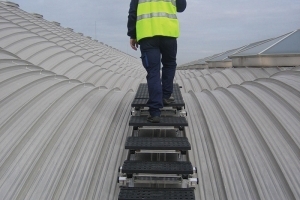 A portfolio of Collective and Personal Fall Protection products. 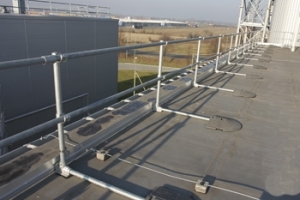 Rooftop guardrail, rooftop walkways and engineered lifeline systems, all designed to provide safe working at height. 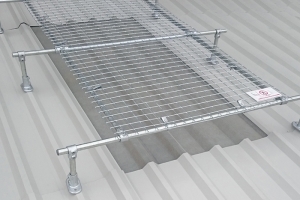 A free standing fall protection system that does not penetrate the roof membrane; meets or exceeds current roof top safety requirements. 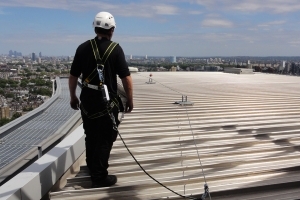 KeeLine® is a EN 795 Class C, CE certified, wire based personal protection system for roof installation or horizontal / overhead applications on structures. 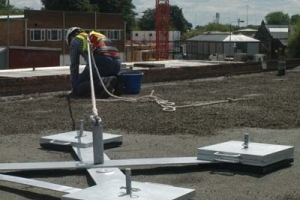 A modular dead weight anchor fall prevention systems; can be used in conjunction with horizontal safety lines and for rope access work. 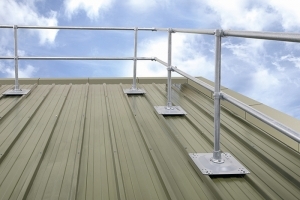 Adaptable cover for roof lights on trapezoidal and standing seam roofs. 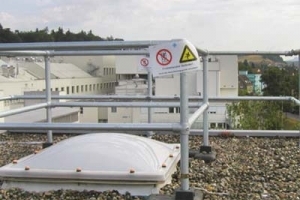 The safety solution for skylight protection. 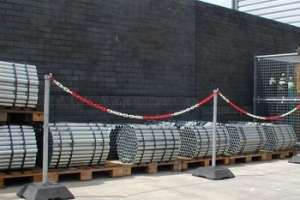 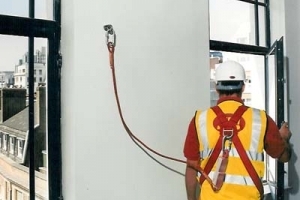 A comprehensive range of Class A1 safety anchors.